Picking the right finish can be one of the most difficult decisions before ordering your bike. To simplify that decision and to ensure your LOW// will look its best, we offer 3 stock options with carefully thought out limitations based on our extensive experience with different colorways. While we believe these limitations will yield the best results, we recognize that some customers may have a specific personal vision that requires a wider range of options, so we offer semi and full custom options at different price points. Stock Frame Color includes one powder coat color listed below*, white or black graphics, matte clear powder coat, and matte black fork. All graphics are under matte clear coat. No gloss graphics. All powder coated finishes are matte due to inconsistent results with gloss powder coat. For gloss options scroll down option #4. *Actual color may not appear exactly as it does on your screen. 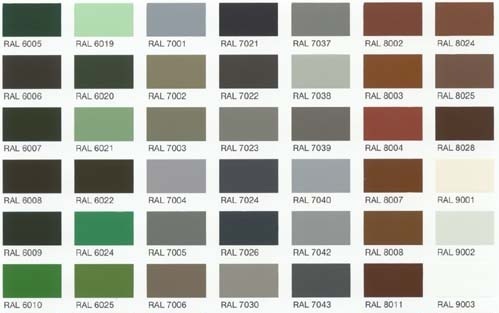 Select frame color from the RAL Color Chart, select Graphic Color From the Pantone Color Chart. For powder coat finishes we find that we get the best and most consistent results with dark colors and matte finishes. Light colors are doable, but not recommended with matte finishes. For best results, we do not recommend dark graphics with dark frame colors. All graphics are under gloss clear coat. No matte graphics. Full Custom Paint includes one custom wet paint frame color with matching color fork from the RAL Color Chart, one or two custom wet paint graphic colors from the RAL Color Chart , and matte or gloss or semi gloss finish. Single color frame, matte or gloss, with same-color graphics in contrasting gloss or matte finish are also available with this option.